Today marks the 4th anniversary of this blog. This is the 859th post. There have been over 870,000 views in those four years, and the number of followers and daily views is still slowly but steadily increasing. It’s been a great journey and the best part is all the interaction with you, my readers. So please keep the comments and questions coming! It makes my day every time someone tells me they’ve made one of my recipes. As long as you keep preparing my recipes and telling me about it, I will keep posting. What better to celebrate an anniversary than with something sweet? 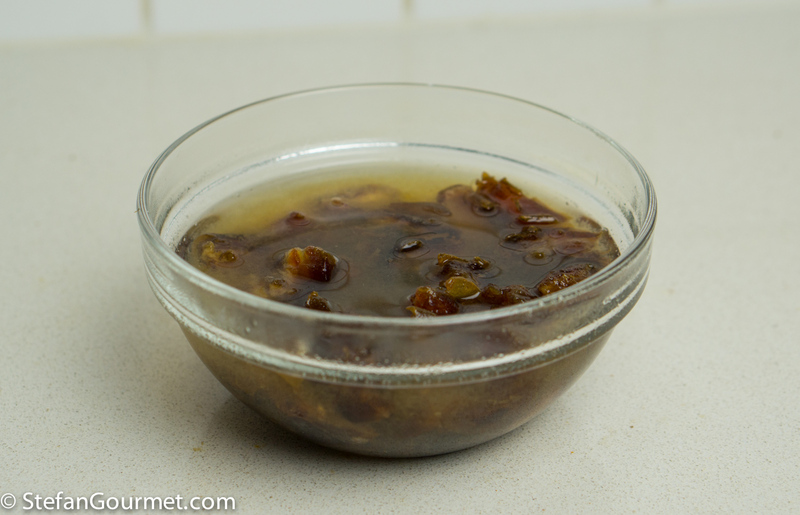 This sticky date pudding, a recipe that I had seen on Sandra’s great blog “Please Pass The Recipe”, is just the right thing. Does it look like a cake to you too? 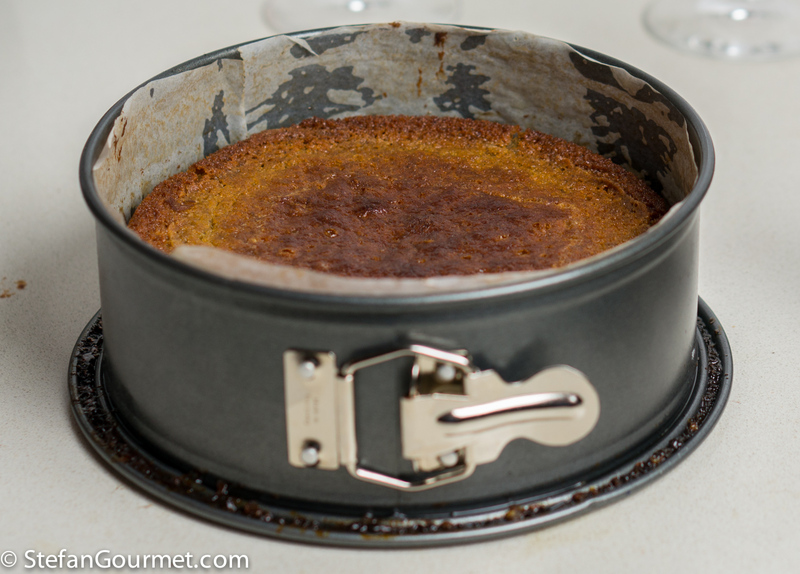 According to English/Australian terminology, a cake like this that is served hot for dessert is called a pudding. 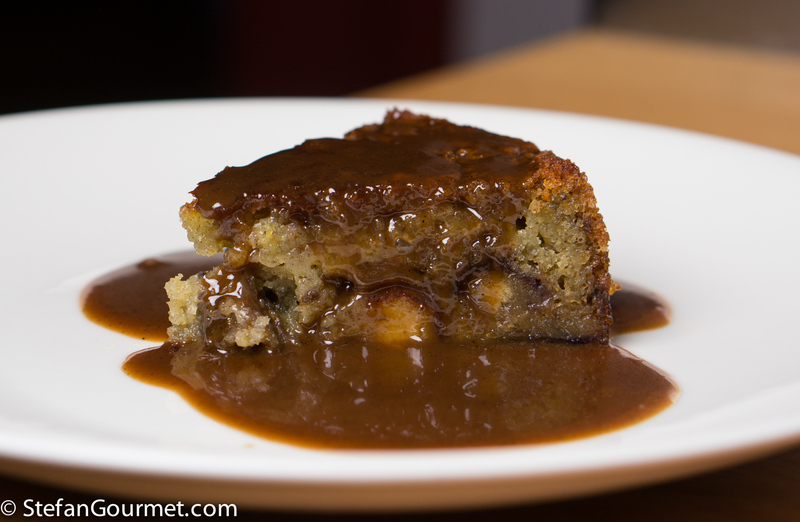 This pudding is filled with dates and served with a delicious cognac-vanilla sauce. 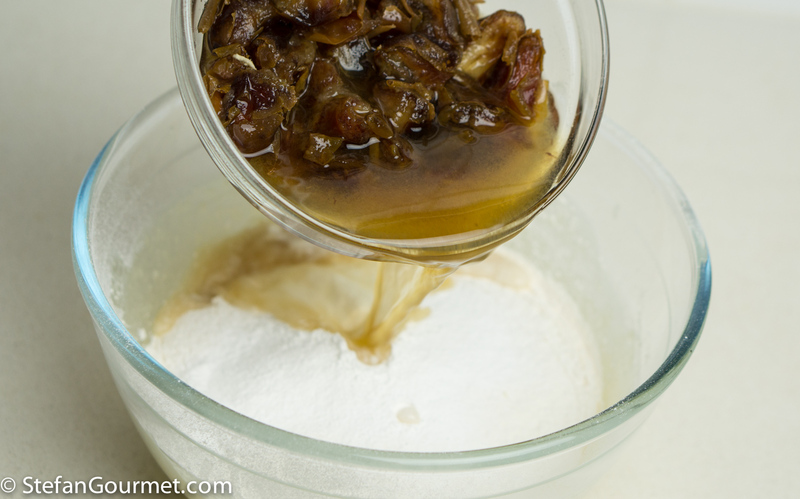 If you have a sweet tooth, you will love this. It is easy to make and delicious. 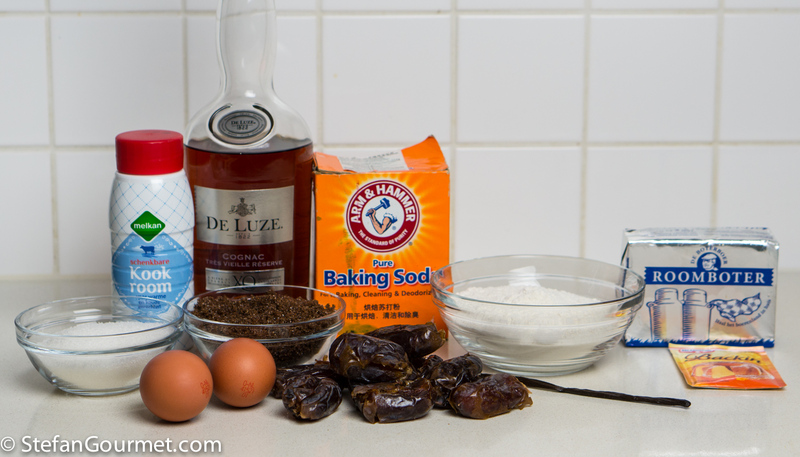 The stars of this dessert are the cognac, the vanilla, and the dates. So make sure you use good quality ingredients. I only made half of the delicious sauce, which I thought was sufficient. 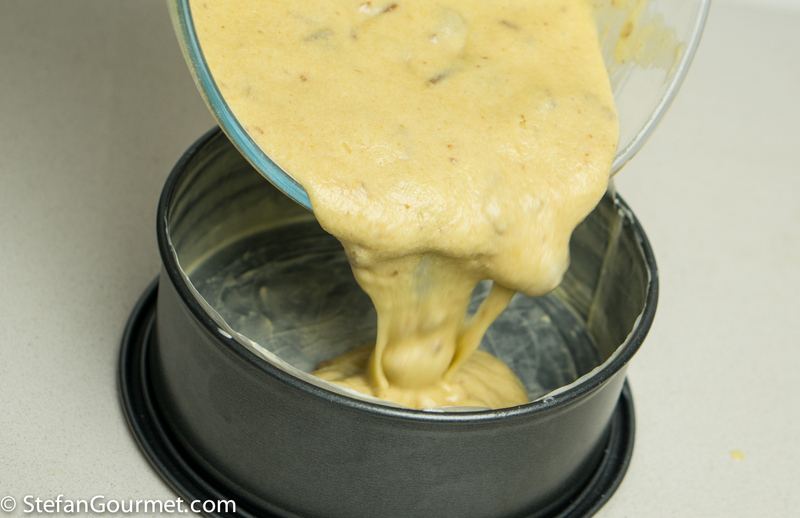 This turned out to be a very tasty dessert that I will definitely make again. Thank you, Sandra! 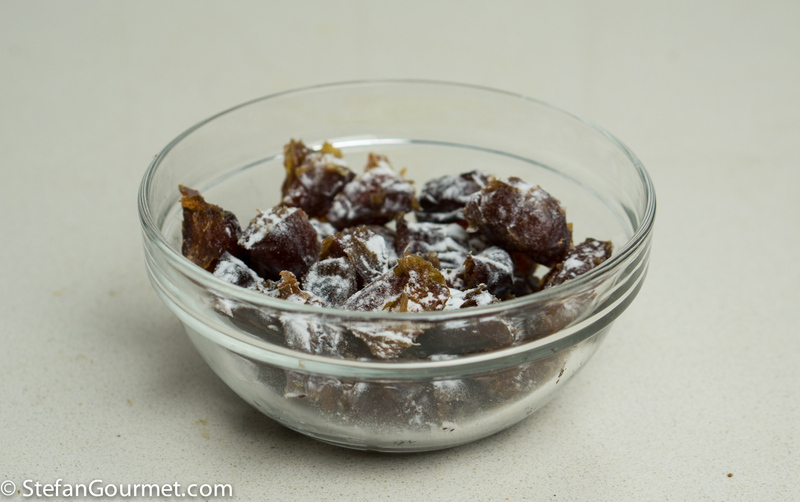 Put the dates in a bowl and sprinkle 1/2 tsp baking soda on top. Add 160 ml (2/3 cup) of boiling water. 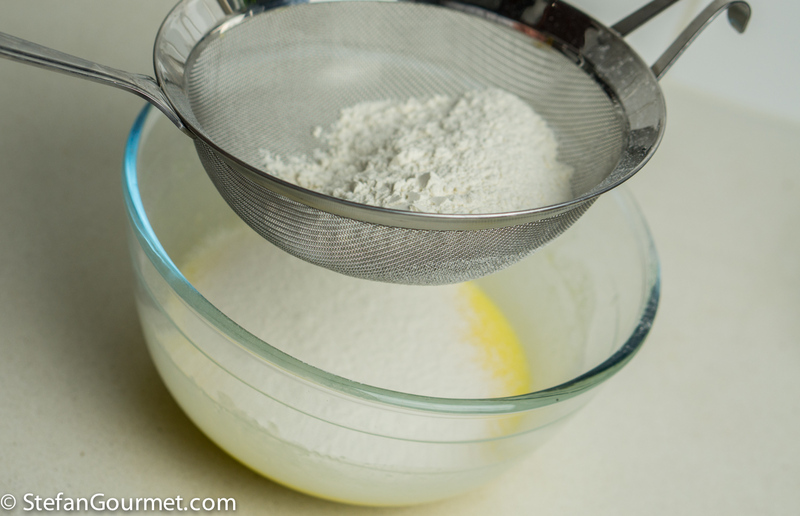 Butter a 20 cm (8″) springform pan, line it with parchment paper, and then butter the parchment paper. 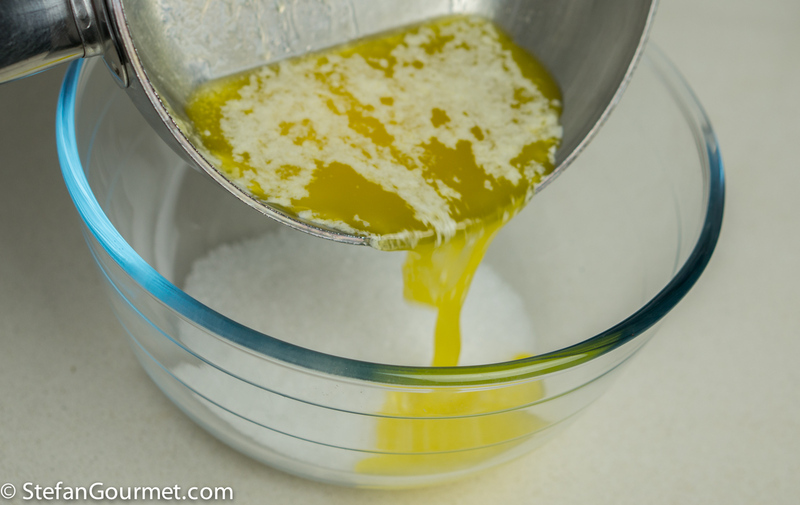 Put 100 grams of sugar in a large bowl and add 125 grams of melted butter. 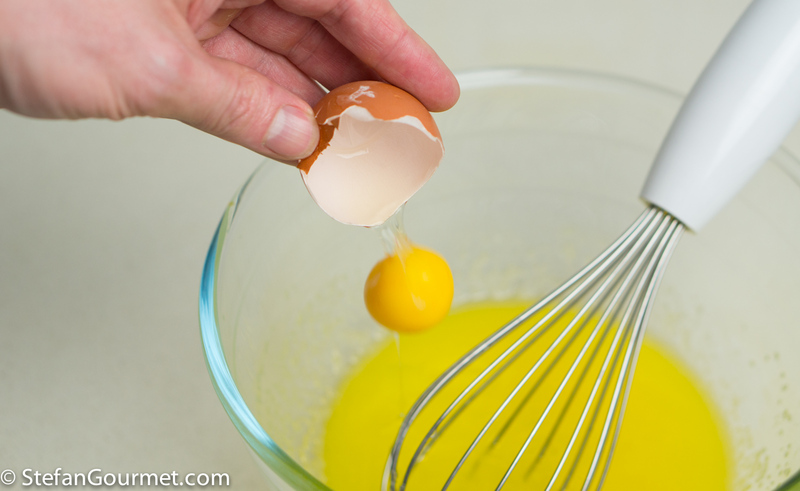 Add an egg, whisk to incorporate, and add another egg. 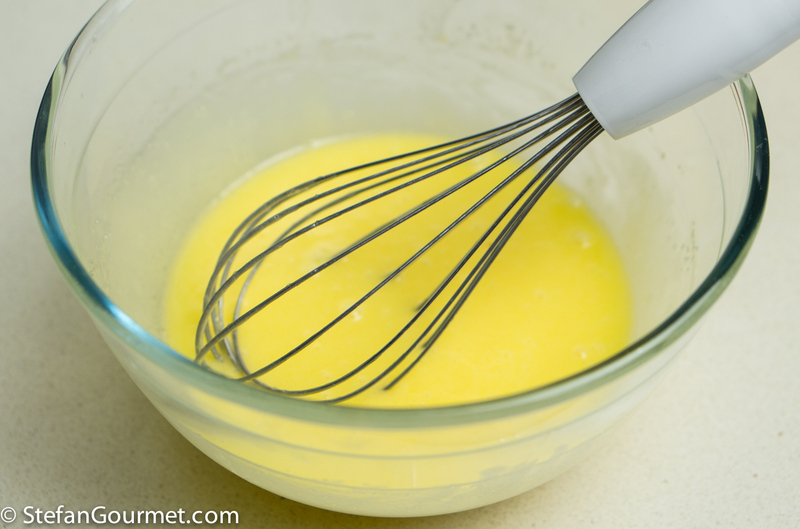 Whisk to incorporate the egg. Sift 125 grams flour + 2 tsp baking powder into the mixture. 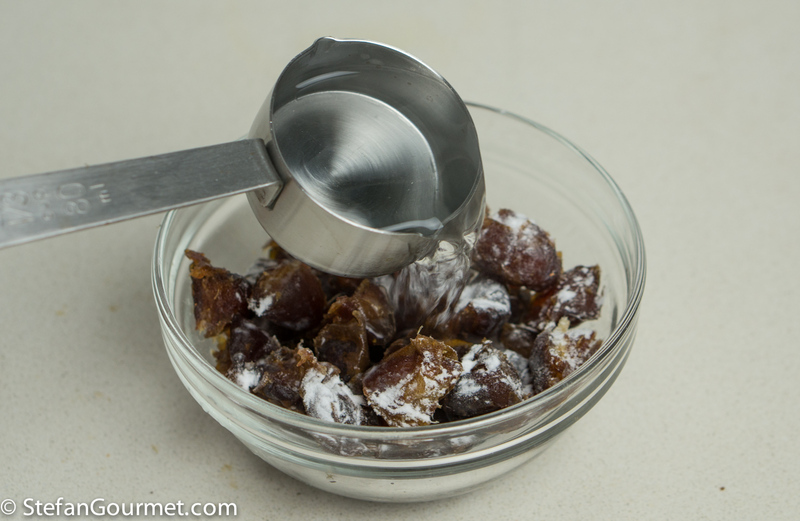 Add the liquid from the dates. 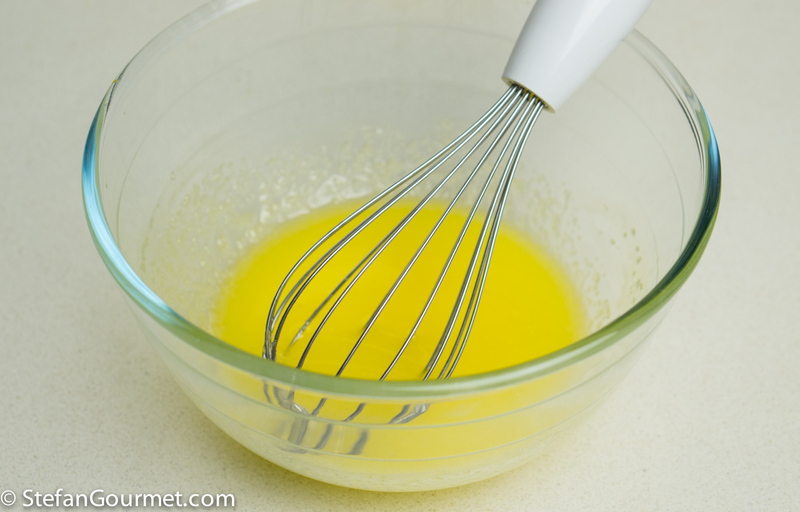 Whisk until there are no more lumps. Level the top, and make sure the dates are evenly distributed. Bake at 180C/350F until the center has set, about 30 minutes. 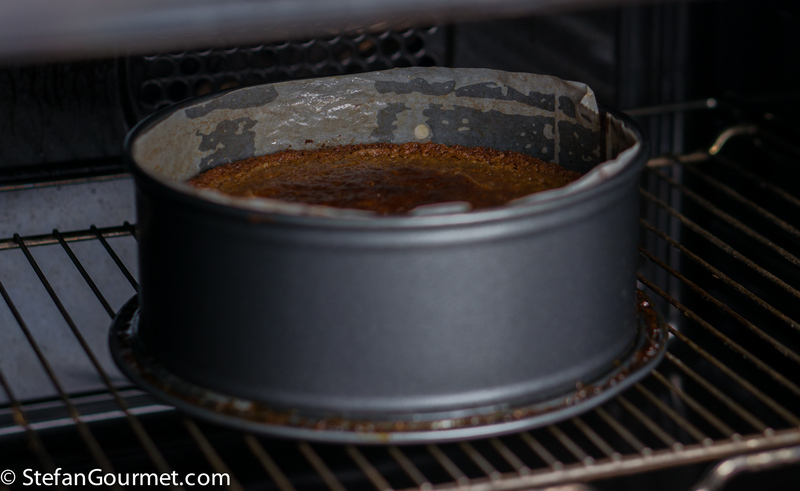 Take the springform pan out of the oven and allow to cool for about 10 minutes while you make the sauce. 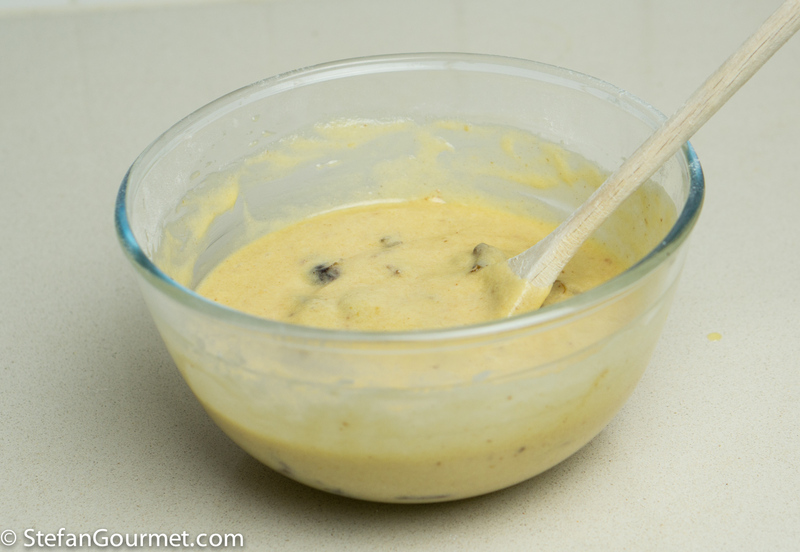 Combine 100 grams dark brown sugar, 50 grams butter, 150 ml heavy cream and the seeds scraped out of 1 vanilla bean in a saucepan. Bring to a boil, stirring, then turn off the heat and add 1 1/2 Tbsp of cognac and stir. 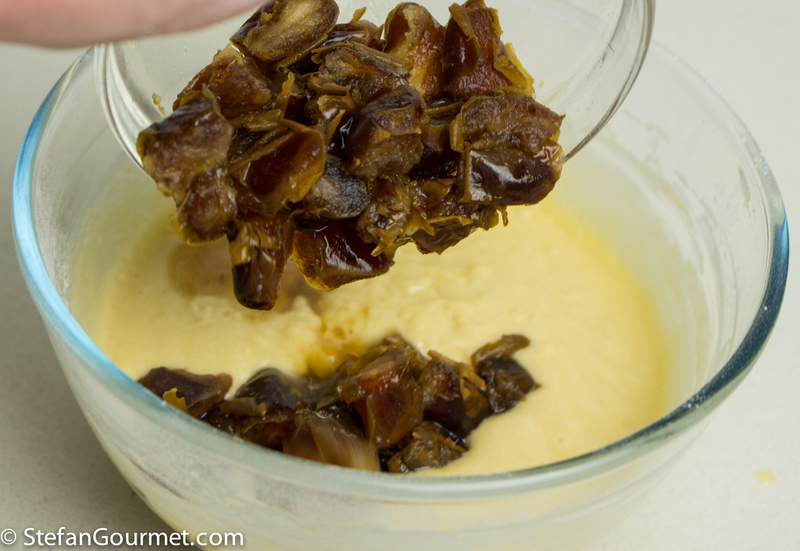 Remove the springform and cut the pudding into wedges. 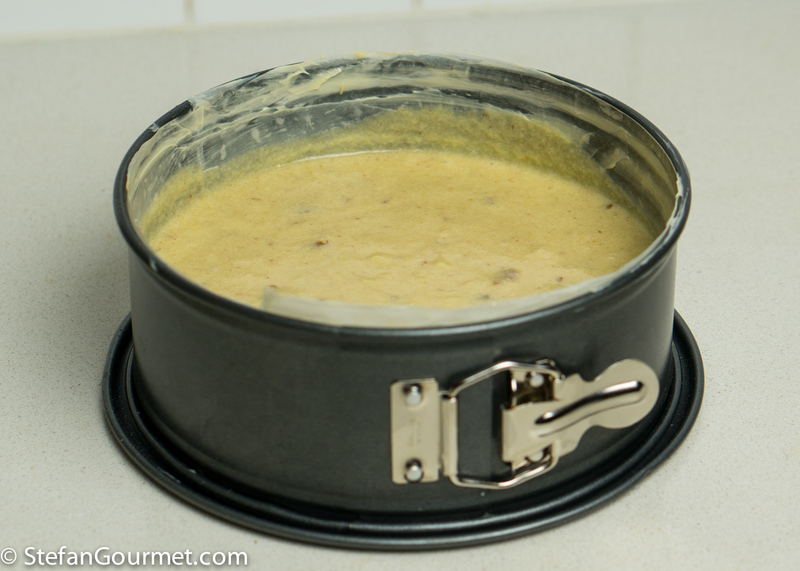 Serve warm with the warm sauce poured on top. This is great with a fortified muscat, preferably aged in wood. The vanilla, caramel, brandy, and dates are all echoed by such a wine. A muscat made from dried grapes such as a passito could also work. Chicken fajitas are one of my favorite foods, and when you make everything from scratch they are even more delicious. Congratulations on your 4th anniversary. What a wonderful milestone. As a newer member of the community, I look forward to future posts and sharing. Stefan: my sincere congratulations and felicitations on such a milestone – oh, if you keep posting, we’ll be commenting. And even tho’ anything sweet and I are on widely divergent paths I would like to echo you re Sandra’s blog . . . I use more of her recipes than almost [remember I said almost 🙂 !] those of anyone else 🙂 ! Congratulations, Stefan! Keep the recipes coming, they are wonderful! And your sticky pudding looks fantastic; I’ve only had it once, in a pub in Ely (near Cambridge), and was overwhelmed at the deliciousness; I’ll definitely keep in mind how easy it is to make for when I crave something sweet! Congratulations and what a lovely recipe. I think I am going to make it this weekend. I have lots of dates I need to use up. You had the lights out! I love the flying egg shot. I was just reading about how good dates are for our health and here you’ve presented me with a recipe to try. Thank you! I’m celebrating my five-year anniversary on WordPress today too but didn’t realize it until after I’d posted. So Happy Anniversary to us, Stefan! I’ve so enjoyed your offerings :). Nice flash back to the amazing fajitas!! I cannot argue with dates and cognac. Delicious, Stefan. I had no idea what to imagine, but sure has become wonderful. 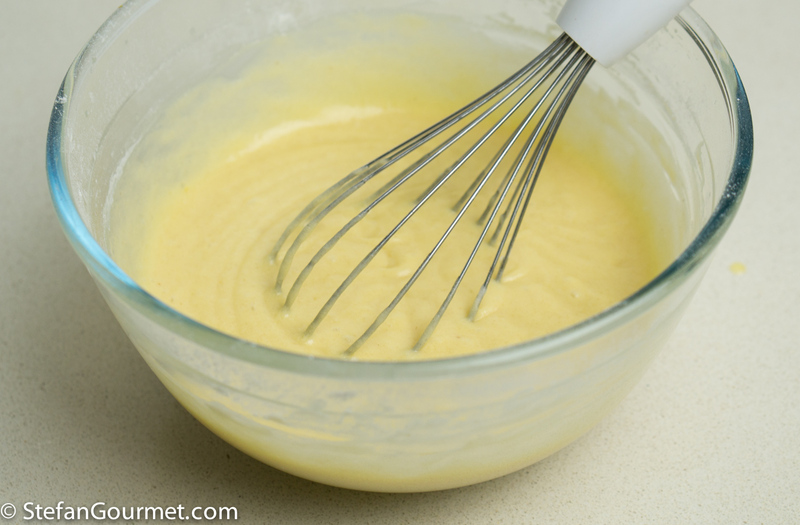 This ‘pudding’ is completely different from what is called pudding in the Netherlands, which is closer to panna cotta. Those English… The cognac, even though it is only a little, does make a difference here. I’m glad I invested in a nice bottle. I’ve been on many sticky dates, but none of them has ever ended with pudding! Congratulations! And this is one of my favourite desserts! This sounds amazing! I have to try it out soon! Hallo Stefan! Dit ziet er ontzettend lekker uit! 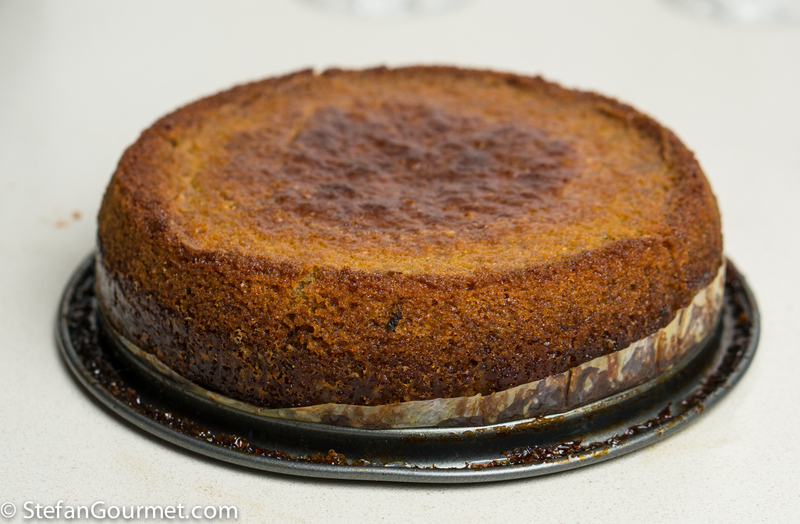 Bij een warme cake serveer ik altijd ook ijs, welke smaak zou hier het beste bij passen? Gewoon vanille? Dit ga ik zeker maken voor kerst!